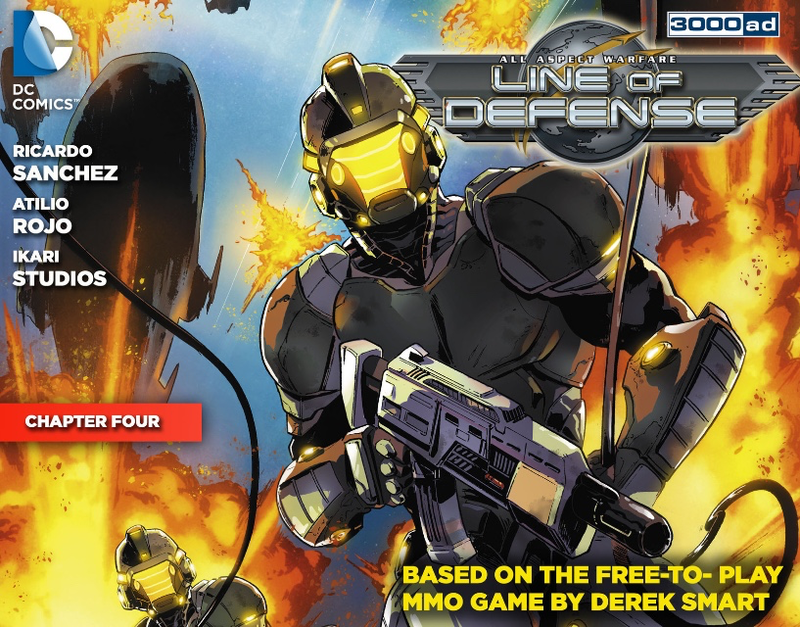 The latest chapter in the Line of Defense comic series begins this week! What happens when a GALCOM soldier shoots his commanding officer? He’s given a choice: execution by firing squad, or “The Walk.” Find out what happens when Rabbit is dropped behind enemy lines with nothing but his wits to defend himself. The series is based on the Line of Defense MMO game by Derek Smart, available now on Steam in Early Access.